With this in mind, Danone Institute International (DII) has joined forces with experts in the field to develop a unique perspective on the topic. 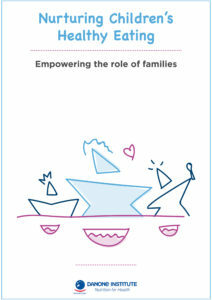 One of the outcome is this new document, which aims to set out the current evidence and lay the foundations for empowering families to nurture healthy eating habits among the children of the world. Eating practices vary around the world and a strong body of empirical evidence has demonstrated that children’s dietary intake and eating behaviors are influenced by a multitude of interacting factors including community and society, family and home. 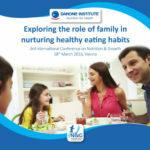 The symposium, organized by the Danone Institute International, during the 3rd International Conference on Nutrition and Growth, in March 2016, set out to consider the role of parental modelling and family meals within eating practices. Discover now online the e-book, including contents of the conferences as well as interviews and graphics presents the synthesis of the symposium. Following the interesting results from a Danone Institute International study on the development, implementation and evaluation of nutrition and health programs (DINE), a dedicated guide has been developped. 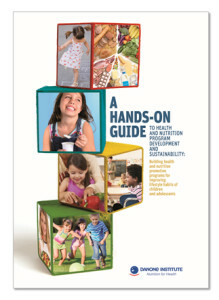 This book is a guide for project leaders for the successful construction of health and nutrition programs for children. It is based on a step-by-step methodology and is rich of examples from existing Danone Institutes health and nutrition programs.